His Majesty The King met with the shopkeepers whose shops were washed away by flood, and inspected the areas damaged, in Sarpang. His Majesty also met with the dzongkhag officials, and others involved in relief efforts. Due to continued rain over the past few days, the river broke its banks and gradually swept away the shops of the roadside market. Upon receiving the Royal Command, a relief team comprising of Royal Bhutan Army personnel, police, government officials, and DeSuups, joined by local volunteers, began to work immediately after the breach, and as a result, the entire market was evacuated before the structures were washed away. 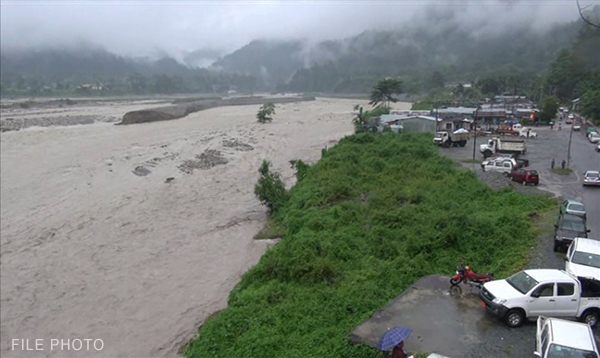 Personnel from the Armed Forces, Forestry, various government agencies and DeSuups are among those who continue to offer services as part of relief efforts during the flooding in Sarpang and other regions across the country. Joined by local volunteers, the team has been working together to ensure that people are kept from harm’s way, and the floodwater does not obstruct roads or cause additional damages. Such groups are on high alert across the country. Besides ensuring that no one was still in the area, the team also managed to remove all the goods in the shops to a safer location. The shopkeepers and their families have been rendered all possible assistance, including food and shelter. The relief team continues to be active and is monitoring the situation. Portions of the Thimphu-Gelegphu Highway have also been damaged. 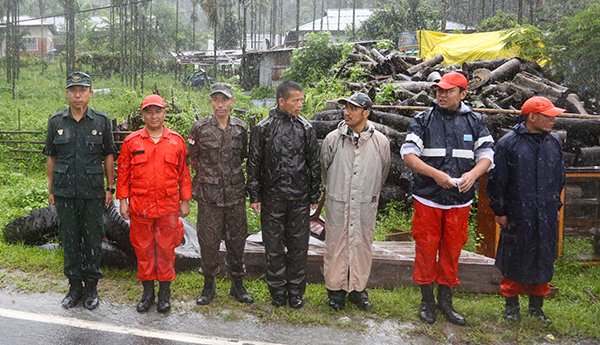 His Majesty also commanded the Royal Bhutan Armed Forces and the relevant government agencies to remain on high alert across the southern belt, where continued rainfall can cause similar incidents in other areas. His Majesty arrived in Gelegphu yesterday.